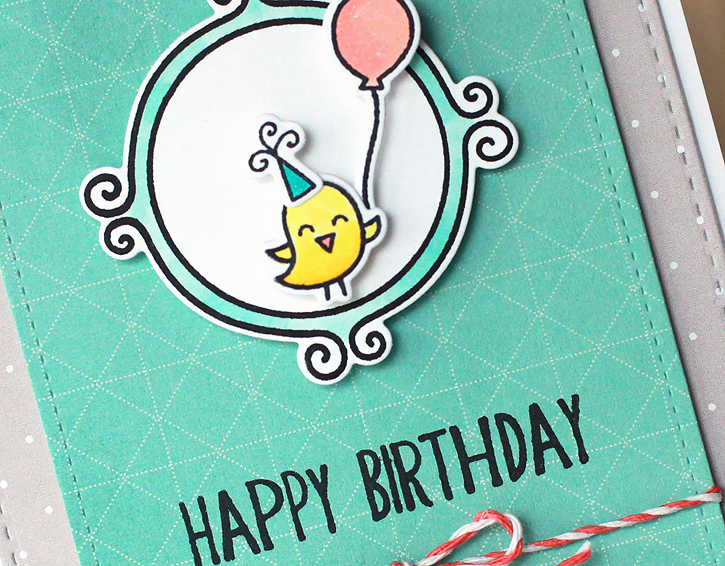 Today I'm sharing a birthday card with the Hippo Birdie and Flirty Frames sets by Lawn Fawn, but this time with just the birdie. Next time I'll use the hippo too, but I thought the little bird looked adorable by himself holding his balloon inside the round frame! The card base is the standard A2 size, 5 1/2 by 4 1/4". 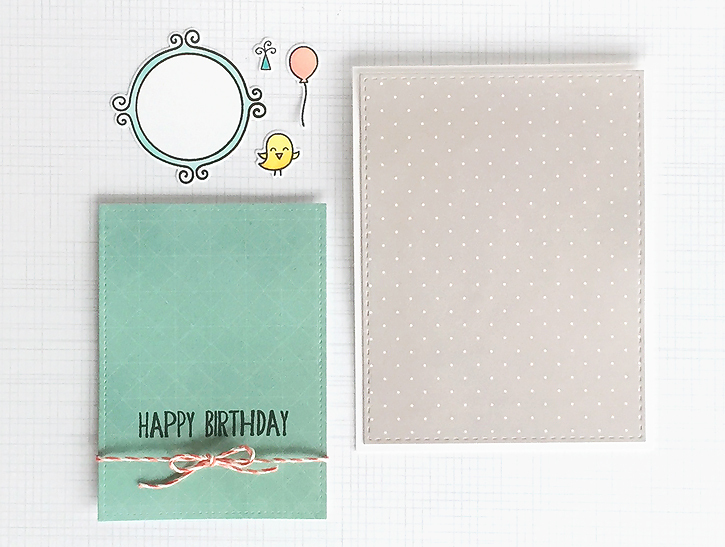 The grey patterned paper was cut with the stitched rectangle die by Simon Says Stamp which leaves a perfect narrow border. If you don't have the die, the size is 5 1/4 x 4". The blue patterned paper was cut with the second largest of the Lawn Fawn stitched rectangle dies which is 4 1/2 x 3 1/4". I stamped the "happy birthday" sentiment and tied the coral twine around the blue panel at the beginning because I have a habit of forgetting the twine until after everything is adhered. So much easier when you remember to add it first! I stamped the frame, bird, hat and balloon in memento ink and colored them in with some soft copic markers. 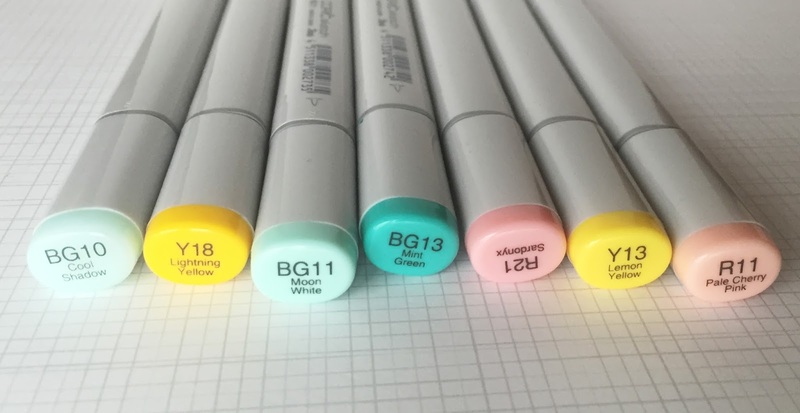 Aren't these colors lovely?! I love bright yellow, blue green and a coral-ish pink together. 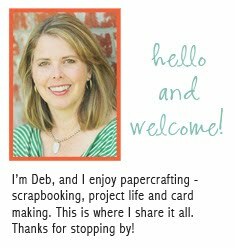 Once my images were stamped and colored, I cut them out with their matching dies. I adhered them all using foam dots, with just a bit of liquid glue to attach the hat to the bird and I tucked the balloon string under the bird's wing. The grey panel was adhered to the card base with dot roller, and the blue panel was adhered with foam tape. I added wink of stella glitter to the balloon and hat. Can you see it a little in the photo? It shows up much better in person and adds just the perfect amount of sparkle. 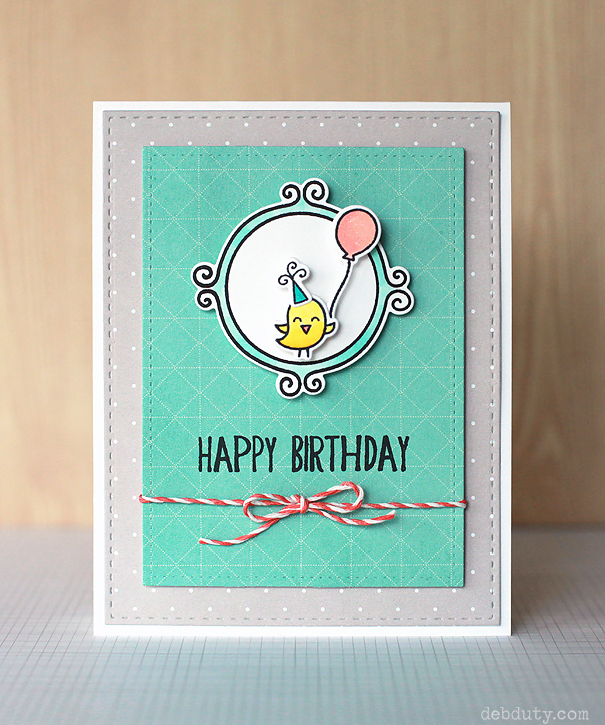 The sentiment is from a past Studio Calico card kit stamp. It's no longer available, but I'm providing the link anyway because once you know the name there's a good chance you can find it on ebay if you really want it. I'm linking up today with the Simon Says Wednesday Challenge where the theme this week is things that fly. If you'd like to receive my posts by email, I've added that option in the sidebar. Just add your email and you'll be notified when I post. Hope you all have a lovely weekend! oh my goodness! This is the cutest! I love the color combo here! Soooooo cute, love your card.